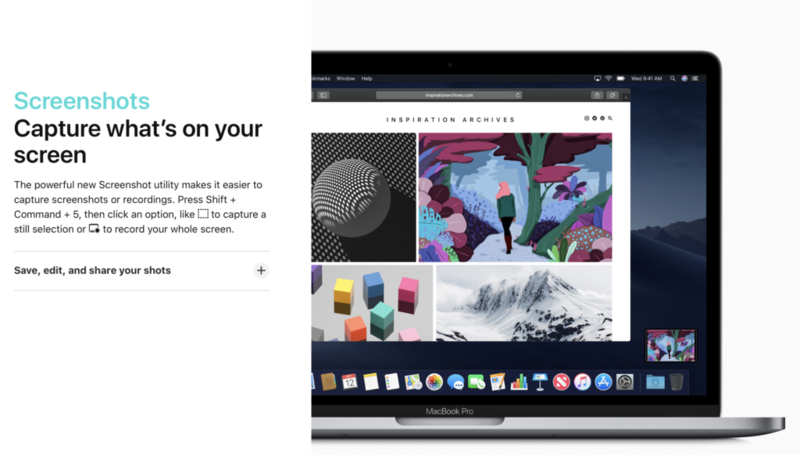 I’m listing here three new features in MacOS Mojave that I’m excited to be using for my online course creation. 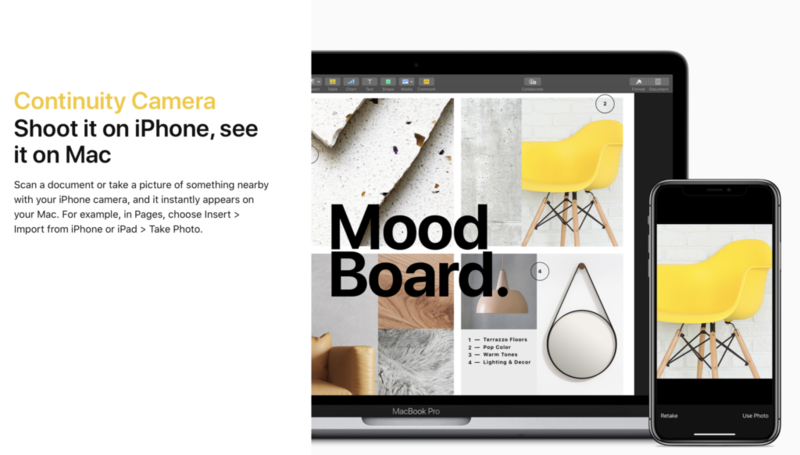 These features are built into the OS and make it seamlessly easy to create content. I’m hoping that having these features will cut down on my procrastination and amp up any creative magic that might appear in the process. If you are putting off updates to your OS, maybe this will give you the incentive to upgrade. Screen capture and screen recording are native to the OS and I can start to use these as a quick first step in creating content and media for my courses. The shortcut to remember is Command-Shift-5. This is so useful for me as I love to document via screen recording when I’m learning something on the fly. I can record as I’m learning and then take that recording into screenflow for a little bit of light editing. 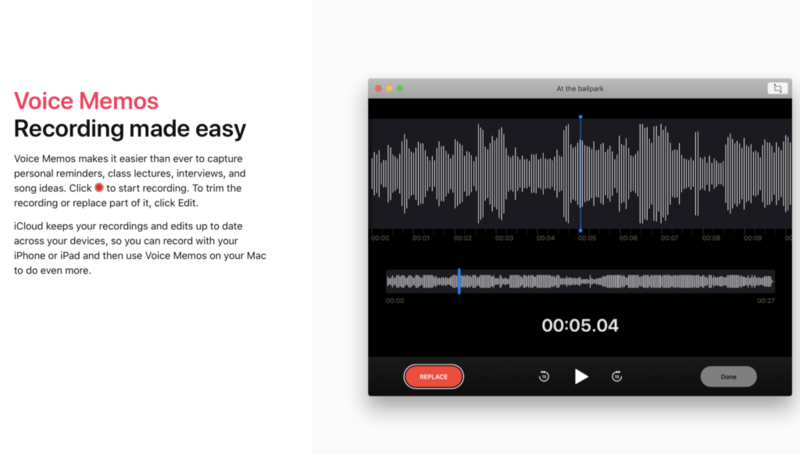 I can strip the audio and add a new audio track using the voice memos feature (below). This is also a big help to clients that are creating their own courses. If your working on a document and need a photo, you can choose insert and then Take photo . All this while you are working on the document, so it is a seamless transfer from your phone to Mac. Editing screen recordings, videos and slide presentations often requires a quick re-record to fix any audio issues. Having the ability to do this from the OS and then the ability to edit, trim etc. is reminding me to use this much more. Voice recording while copywriting can also speed up the production. Reading a sales page into a voice recording can quickly identify areas that need work. Off to do that now with this blogpost. Hope you find this useful. 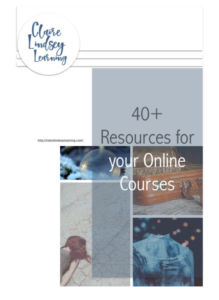 If you want more easy ways to create content I have an E-Book “40+ Resources for your Online Courses”. It will save you tons of time, tech headaches and money, if this is for you. Grab your copy!